Rusted pipes pose a significant threat to your structure’s foundation. While rust itself doesn’t pose the threat of lead to humans and nature alike, rusted water is ruined for most purposes. Attempting to remove rusted pipes the traditional way can result in flaking, disintegration, and a lot of effort for a minimal reward. Cured in place pipes are a better way to fix rusted pipes. No trench, no spreading, and your new pipes will never go the way of your old. Rusty pipes soon flake and corrode, creating leaks. Some leaks pose a more significant risk than others. Leaking in a sewer line or industrial drain can pose a significant risk to the ground that the pipe rests in. Toxic chemicals or waste products can escape the pipe and permeate the soil. Sadly, if concentrations are high enough, it negatively impacts the area’s environment. For large, industrial sites, this could spread to a greater impact on the environment of the region, especially if groundwater is contaminated. Even leaking of potable water can prove a significant problem. Leaking pipes can flood the foundation of a building. This could result in cracks in the concrete, significant mold presence, or even the sinking of the foundation. The longer the leaks continue, the greater the damage that they can do to your foundations. A rusted pipeline doesn’t carry the same amount of danger as lead, or other heavy metals. 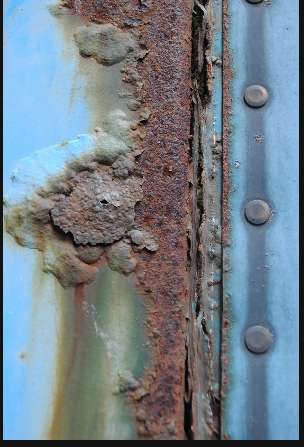 Rust is not dangerous in and of itself; humans can safely drink water with minor to moderate amounts of rust. However, there is very little incentive for anyone to do so. Rusty water both looks and smells terrible. The taste is also very off-putting. Even if the water was never meant for human consumption, cleaning with it becomes difficult. Rust is easy to see, and very difficult to remove from fabrics. Cleaning anything with rusty water is more than likely to result in its winding up even dirtier. For all practical purposes, rusty water is useless. Part of the difficulty with a rusted pipeline is that it’s literally falling apart. The act of digging it up to replace it could damage it more than it’s worth. Flaking, powdery, broken, and rusted pipe is difficult to extract from the soil. Cured in place pipe is a great alternative to digging up your rusted pipeline. Instead of further damaging the pipes with digging and extraction, cured in place piping fits inside of your old pipe. Once it’s in place, the resin is cured with hot air. The rusted pipeline is the exterior of your new pipe. No leaks allowed. Best of all, since your new pipes are made of resin and epoxy, they will never rust. CIPP fixes rusted pipes forever. There’s no recurrence of rust when there’s nothing to rust. CIPP helps prevent foundation loss due to leaks. Even though rusted pipelines don’t pose a health hazard to humans, they’re distasteful--and disastrous to wash with! Replace rusted pipes with CIPP. There are two main types of trenchless sewer repair. Either type works in a situation where you don’t want to go through the work and bother of digging up your sewer lines. These two kinds of trenchless sewer repair are pipe bursting and CIPP. One or the other could be the solution to your plumbing troubles. Pipe bursting is a system of trenchless pipe repair that relies on a hard bursting head and a flexible replacement pipe. First, a chain is threaded through the sewer line that you wish to replace. Then a large pipe head, greater in diameter than the pipe you have in place, is winched through the pipe. The established pipe is broken (hence “pipe bursting”) and a new pipe is dragged into place. The new sewer line is then connected to the laterals and other joints of the original pipe. One of the major reasons to choose pipe bursting over CIPP is that pipe bursting can replace a small pipe with a larger one. As long as the bursting head is able to make progress through the earth, you can place a larger pipe down after it. Pipe bursting is also a very quick process. As the new sewer is essentially ready to use as soon as it’s in place, the only time factor is how soon you can get your sewer pipe connected to the other pipes around it. This short turn around time is great for commercial properties that can’t afford to be shut down for long. CIPP tackles the problem of trenchless sewer repair from a different perspective. Instead of finding a way to destroy your old pipe and replace it entirely, cured in place pipe (CIPP) replaces the old pipe from the inside. A flexible cloth tube is permeated by a mixture of resin and epoxy. This mixture is kept cold until it’s inserted into the pipe to be replaced. Then hot air is used to cure the mixture into a solid pipe formed entirely within the old pipe. CIPP is a very flexible solution. It can be used on every kind of pipe in most conditions. Its major selling point, however, is how sturdy it is. CIPP can last more than fifty years in highly corrosive environments. With a functional lifespan of decades, CIPP is an attractive long-term solution to sewer pipe decay. These two methods of trenchless sewer repair can cover most any problems. One or the other of these pipe replacement tactics will more than likely be a fit for your project. Whether you want to choose long-lasting CIPP or expand your pipe with pipe bursting, trenchless sewer repair is both possible and easy. Pipe relining is a quick way to put a stop to ongoing pipe problems. Cured in place pipes (or CIPP) are strong, durable, seamless pipes. They can stand up to a variety of chemicals that cause oxidation and corrosion in metal pipes. Additionally, they’re strong against intrusive roots. If you have these problems, pipe relining could be right for your pipes. Small leaks are the biggest sign that you need to take control of your pipe situation. One or two small leaks could be the result of almost anything. Certain pressures, imperfections in the original pipes, or the setup of your plumbing system could cause certain seals and joints to wear out faster than others. That’s perfectly normal. However, a series of small leaks indicates something far more mundane and difficult to handle: your system is simply getting old. Pipe relining is great for older systems because it nips all future pipe troubles in the bud. Rather than pay to fix your pipe system piece by piece, you can replace all the parts of the pipe without digging a trench. When it comes to an older system, it’s not a question of if you’re going to need to replace the rest of your pipe. It’s a question of when the replacement will become necessary. When you choose CIPP, you can get ahead of the main disaster. You don’t have to wait for everything to break down for you to replace it. Cured in place pipes are resistant to intrusive roots. Trees and some other plants have strong, burrowing roots that seek out sources of moisture. They can force themselves into the seams of pipes and make a big impact on the security of these pipes. Intrusive roots aren’t as big a problem for CIPP because CIPP is cured as a single piece. There are drastically fewer seams for intrusive roots to find. Instead of finding a way into your pipe every few feet, they can only try to force their way in when a cross pipe or lateral line has been placed. If you’re looking at a property that can’t afford to sustain damage, you need CIPP to fix your pipes. There are many reasons you might not want to dig up your property. If you’ve already invested in the landscaping, there’s no reason to throw that away. If you have to access a lot of the pipe inside the building, opening the walls and floor could do a lot of damage you don’t want to have to deal with. If you don’t want property damage racking up extra charges and slowing your process, you can skip it with CIPP. Pipe relining is a way to cut down on the hassle of pipe replacement. You can avoid damaging your landscaping or building. You can cut down on future maintenance by installing root-resistent piping. Best of all, you don’t have to watch your pipes slowly break down. You can replace the pipes in one restoration project and nip a variety of problems in the bud. What Does “Relining” a Pipe Mean? In any discussion of pipe repair and replacement, “relining” is typically brought up as one of the key oppositions to traditional pipe repair. You can dig pipes up and physically replace them with new pipes, or you can reline your pipes. However, most discussions don’t go into what relining actually means, what its advantages are, and what limits it has. That’s where this article comes in. Relining a pipe sounds complicated. It can be difficult to pull off, practically speaking, but the idea behind it is simple. Instead of digging up the entire length of your pipe, pipe lining offers another path. Pipe liners are used for a kind of trenchless pipe repair called “Cured in place pipe”, or CIPP. This pipe starts out as a flexible cloth liner. Many are custom-made to the exact specifications of the pipe that needs to be repaired, but there are some standard sizes for the more common pipe diameters. This liner is soaked in a combination of resin and epoxy. Once this potent combination has permeated the fibers, the liner is installed inside your current pipe. This “relines” it. Hot air is then used to cure the resin and epoxy into a smooth, strong, plastic pipe. The new pipe lines the old one. Trenchless pipe repair has many advantages over more traditional methods. It’s faster in almost every case. The preparation time is minimal; the host pipe just has to be inspected and cleaned. The curing process takes several hours, and once it’s done, the new pipe is ready to go. Trenchless pipe repair allows you to trim costs. While it’s comparably priced per foot, you can also eliminate a number of labor costs. Digging out old pipes takes time and effort. You have to pay for the man-hours to remove the dirt and then fill the trench back in once repairs are complete. CIPP doesn’t have those same limitations. Aside from being faster and cheaper to install, CIPP lasts longer. High-traffic pipes relined with CIPP consistently remain in good condition for decades. Of course, this depends on the level of maintenance. For example, avoid the use of scraping plumbing tools, as gouging tools are one of the few things that impact CIPP. With CIPP, you can have fully functional pipes for forty to fifty years before wear and tear begins to affect performance. CIPP is a huge technological advancement over traditional pipe repair, but it’s not yet perfect. CIPP cannot be used to repair collapsed pipes. In order for a pipe to be relined, it has to hold its shape. The liner is a soft fabric that can’t force its way through rubble. If your pipes have collapsed, it’s too late to use CIPP to repair them. If they’re merely splitting, cracked, or close to breaking, CIPP may still be able to help. Relining a pipe means putting a new liner inside of it. These liners are coated with resin and epoxy, and harden into fully formed pipes inside your old pipe. Though these cured in place pipes save time, money, and have a long lifespan, they can’t do everything. If your pipe has collapsed, it’s too late for pipe relining. Pipe renewal is the term given to the process of CIPP or trenchless repair of existing pipes. It involves relining or otherwise repairing your pipes so that they perform like they are new. Replacing your pipes is the more traditional approach to dealing with a broken pipe. Pipe replacement uses standard dig-and-replace methods. These two are the only branches of pipe repair, although trenchless replacement also exists as a combination of the two. So, why would you choose to renew your pipes instead of replacing them? As it turns out, there are certain benefits to pipe renewal, some of which are dealt with here. Using trenchless technology to renew pipes is one of the best ways to do so simply because it costs far less to install renewed pipes through liners and other methods. This means that a certain amount of funding for a pipe repair project can be used to repair a much larger length of pipe than a standard pipe replacement would. In the most basic sense, more work is being done for the money invested in the project, which is always more desirable for a business. If the pipes being repaired are part of the sewer system that carries waste away to treatment plants, renewing pipes can have major advantages. Relining using CIPP can result in a reduction of the risk of infiltration and inflow. This is the term given to the situation where clear water such as rain water from storm drains and the surface seeps into the sewer pipes. This can dilute the waste in these pipes leading to overflowing of the sewer system and increased cost to treat the larger volume of waste water. Relining a pipe all but eliminates the chance of this infiltration and inflow happening. For sewer repairs, there is always the risk of leaks. Leaking pipes with waste in them can lead to serious damage to the ecosystem. Waste that enters the surface can also lead to diseases being spread, bad living conditions, and even pollution of drinking water supply and local water sources. With pipe replacement, leaking is common because of the destructive method used to replace these pipes. When you use pipe renewal like trenchless technology instead, your chances of wastewater entering the local system are drastically reduced. Arthritis aside, pipes can also be afflicted with joint problems when replacing them. Bad connections at joints can lead to leaks, fractures, and corrosion. Relining or renewing a pipe using CIPP and other methods takes the risk of this away. This is mainly due to the lack of joints inside the pipes, as such methods turn the entire length of pipe that is renewed into a long smooth surface. According to multiple studies, it has been found that relining a pipe improves its resistance to corrosion. When you replace a pipe, you just give the elements a chance to work their corrosive power on the new length of pipe. With relining, corrosion resistance of the entire pipeline is increased. The lifetime of the pipe is more, and it is more durable too. If the pipes are being used to transport corrosive chemicals, their oxidizing effects on the metal of older pipes is eliminated when the pipes are relined with CIPP. Overall, there are many advantages to pipe renewal. You get more durable, cost-efficient pipes that last for longer. These pipes are immune to both infiltration and exfiltration of the contents. CIPP and trenchless pipe replacement are the best ways to renew your pipes, as opposed to completely replacing them. Trenchless pipe repair and rehabilitation technology like CIPP and others is the new best way to repair broken or outdated pipelines. In this article, we will delve into the basics of trenchless technology, its history, and the many methods involved in the process. As one of the single fastest-growing methods of rehabilitation in the industries of plumbing, civil engineering, and construction, this technology deserves to be understood. At its most basic level, one can define trenchless technology as the repair of pipes including sewer and water pipes without digging continuous trenches to expose the pipeline. It has its own set of methods, its own specialized equipment, and its own materials. All of these can be used to repair an underground pipe network without the extensive upheaval of soil and buildings. While in the past, trenchless technology like CIPP was only used in larger applications like road construction and sewer drain repair, the 21st century brought a few changes. The demand for methods to reline pipes on a smaller scale rose, so the technology was adapted to suit these requirements.Today, an engineer can monitor the entire process, from the quality of the resin used to re-line a pipe using CIPP. Mini horizontal directional drilling – this is a method for installing small pipes that are quite long (usually 300ft) at shallow depths (up to 15ft). All types of pipes can be installed using this method. Common applications include water and cable installation. Microtunneling – this is another trenchless installation method that is quite advanced. A laser-guided, remote-controlled pipe jacking system is used to install pipes of varying diameters. Pipes of up to 1500ft can be installed like this in soil conditions like clay or rock. Depths of up to 100ft below the ground can be reached using this. Pipe bursting – this replacement method is used in congested city areas and suburbs to minimize traffic disruption. An existing manhole or access point is used. The old pipe is split open by dragging a bursting head of larger diameter through the length of old pipe. New piping is dragged behind the head to replace the old one. CIPP – CIPP is a sewer pipe rehabilitation process where manholes and other existing systems are used to repair the pipes from inside out. A lining material is used to reinforce a faulty pipeline before it fails. The CIPP liner involves a tube made of fabric coated with resin that can adhere to the existing pipe and harden under heat. FFP – Newer than CIPP, the FFP process involves installing plastic re-liners that are folded up and sent into the manhole. The liner is folded up into a tiny area so that it can enter any diameter of pipe. Once in the desired location, hot water or steam is used to heat the material up, causing it to expand and round out until it fits snugly with the existing pipe. This is also a rehabilitation process. Trenchless technology is quickly becoming the method of choice for governments and private businesses alike. With methods like CIPP, pipe bursting, and horizontal drilling, allowing for precise, non-destructive, and efficient pipe installation, replacement, and repair, traditional trenching methods will soon be obsolete. It is important that you understand the potential benefits of trenchless technology and incorporate it into your own operations. Tricky pipes may need special procedures. When is something like pipe bursting necessary? How does it compare to other modern plumbing techniques? CIPP technicians need to inspect pipes before they can install CIPP. Whether you’re just looking for an estimate or you are preparing for CIPP installation, it helps to understand what they’re looking for. There are three main areas that CIPP technicians will inspect. Damage to your pipe, the location of connections, and how clean your pipe is. The first thing your technicians will look for during your CIPP inspection is damage to the pipes. Loose seams can let roots in. Cross boring can lead to dangerous holes in the pipe. Even worse, other utility lines can be laid through existing lines. This can lead to friction, sparks, and even explosions. Ensuring the integrity of your pipe is essential before CIPP installation can even begin. Collapsed pipes don’t post the same thread to your pipe system as cross boring, but it could still be dangerous. CIPP needs a mostly intact host pipe to work. If your pipe has become oval, CIPP can still be placed. If it has a hole or two, your CIPP technicians can account for that in their planning. If your pipe has collapsed, CIPP won’t work. CIPP is not a boring technology. It can’t make a new path through a solid wall. It needs to have your host pipe to fit inside. If you don’t have any cross boring or collapsed pipes to worry about, your CIPP technician can focus on drain connections and joints. Almost every pipe is connected to more pipes under the ground. A conventional drainage pipe will link up with other drains throughout your building before it gets to your sewer line. In order for your building’s drain system to work, it has to accommodate these drain connections. CIPP technicians look for and mark drain connections during their evaluation of your pipes. CIPP pipes are not made with the connection points already made. Making the holes in the felt liner would be too difficult. They would then have to ensure that the edges matched exactly, and so on. Instead, connections are cut into the cured in place pipe after it’s installed. Careful CIPP technicians will mark all the connections during inspection. Once everything is in place, they can robotically cut in the connections that your pipe needs to be part of your system. The final thing your CIPP technicians look for during the inspection is the cleanliness of your pipe. It’s to be expected that drains get a little grimy. However, a dirty pipe isn’t the best for CIPP. Grease and dirt can make it more difficult for CIPP to form smooth, even interior surfaces. If your pipe seems very dirty or greasy, it’s likely that your CIPP technician will recommend a quick cleaning before the installation of your CIPP pipes. This is one of the last steps on the road to CIPP. Good CIPP technicians can handle these three areas in one inspection. They’ll know the amount and type of damage that your pipe has sustained. They’ll know the location of the drain connections that will have to be added, and they’ll know whether or not your pipes are clean enough for installation. CIPP repair is better than most kinds of pipe repair, but it’s a different experience for plumbers and customers alike. In addition to being gentle on your landscaping, CIPP repair offers the clients a chance to see evidence of their plumbers’ good work with their own eyes. Ultimately, CIPP requires more customer involvement than typical repairs. Continue reading, to learn how you can expect to be involved during the initial inspection, the job itself, and the final report. The great joy of CIPP is the trenchless technology it uses. Unless you’re dealing with something like a water main, you’ll get to avoid the sight of your sidewalk turned inside out. This obviously saves a lot of time, and it potentially saves money, too, especially when you consider the cost of replacing the grass. Unlike trench-style plumbing repairs, CIPP allows your plumber to present the issues upfront. In order to assess the problem, plumbers use closed circuit cameras to check out the pipe’s integrity from within. Small cameras go directly in the pipe, and plumbers use them to get up close to the issue. They can see what’s happening in real time and figure out exactly where the problem is without digging up several yards of pipe to find the break. Whether there’s a tree root, a crack, or a ruptured line, you should be able to see the problem with your own eyes. Your plumber will use this view to explain what needs to be done, and where it needs to happen. You can discuss a plan of action right away. CIPP uses a liner, resin, and an inflatable sleeve in order to make repairs. The materials go up through the damaged pipe, pressed between two sheets. Once everything is in place, plumbers harden the resin into a new pipe through steam, UV light, or even hot water. The pipe is made in the place where it’s needed. No trenches are necessary. Once the CIPP materials are in place, it’s easy for plumbers to check on the resin’s condition. If there’s any need for gaskets, they can often see the annular space on screen. When everything is ready, plumbers move on to final checks. The camera goes in the pipe again, and this time plumbers check their own work. A good plumber doesn’t just make sure the resin dried correctly. They should also look for future problems, even with their own work. During the final report, when your plumber presents you with the finished product, they should explain these details. Again, having an eye in the pipe helps customers understand exactly what was done and why. There many reasons, besides trenchless technology, that make CIPP repair a better plumbing solution. One reason is that it allows plumbers to work with their customers more efficiently. Moreover, they also have the ability to double check their work more easily. As a customer, you will be involved in the CIPP process. Your plumber won’t need to go out of the way to show you the problem, and you can see the finished repairs with your own eyes. What Type of Pipe is Used for CIPP Repair? CIPP is an innovative plumbing technique that allows plumbers to make most pipe repairs and replacements without digging trenches. By combining pressure and state of the art materials, plumbers can now build new pipes from the inside out. What exactly do they use for these replacements and repairs, though? What kind of materials do they use? The contents of the pipe in question ultimately determine the type of materials a plumber will use. Plumbers also have to consider the size of the pipe and how the pipe’s contents may interfere with the process. CIPP can be used on just about any kind of pipe. Whether you are running water, gas, or even sewage, there is a CIPP solution for your pipe types. Ultimately, you’ll be making a replacement pipe, and that pipe is made of special resins that bond with a liner. It’s important to choose a pipe that can handle the materials and purpose of the pipe being replaced. Most CIPP resins are composites, but some are specially designed for potable water. These resins lack the dangerous chemicals found in CIPP sewer and grey water pipe types. One of the greatest differences between different CIPP products, however, comes from the type of materials used for the liner. The hardening resin is only part of the finished product. Essentially all liners use composites, but some composites have different bases. The types of being being repaired, however, usually determine the base of the composite. A common liner used, is polyester, which is a fabric great for supporting resin without losing flexibility before it can get into position. More importantly, polyester is easy to saturate with the liquid resin that will harden into the new pipe. It’s an inexpensive liner, too, which makes it even more popular for plumbers and homeowners alike. Fiberglass has many of the same properties, but it actually does a better job in larger pipes than polyester does. Sewers and other pipes containing corrosive materials need special composite materials that are designed to stand up to excessive wear and tear. Liners for pipes carrying potable water must meet additional standards to ensure no dangerous chemicals or contaminants leak into the water supply. Sewer lines and other pipe types which house greasy materials cannot bond with CIPP resins. Obviously, this creates a few challenges. The biggest issue by far is the annular space between the host pipe and the liner. Waterproof gaskets made of hydrophilic materials keeps fluids from escaping from the main pipe. The annular space is still there, but there’s no easy path to it. Other pipes may use gaskets as well, but they are absolutely necessary for pipes with greasy contents. Since CIPP is a relatively new process, new resins and liners are still in development. CIPP materials suitable for potable water pipes only recently became available, but plumbers have already began using them en masse. As CIPP continues to develop, it will be an option for more home and business owners. It’s already suitable for just about any type of pipe. How and why CIPP technology is the answer to replace America's aging pipeline infrastructure. From being cost efficient to environmentally friendly, Cured-In-Place Pipe (CIPP) technology has many advantages. Perhaps one of the most important features is the pipe problems that CIPP fixes permanently. Repairing pipes can be extremely costly and disruptive. If faced with any of the following problems, choose CIPP for a permanent solution. 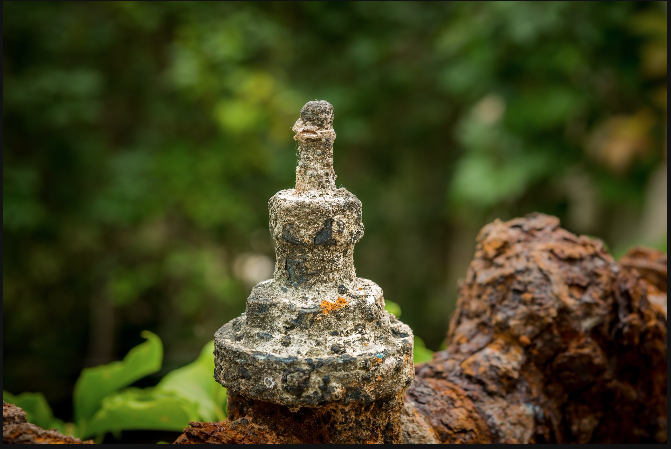 Corroded pipes do more than break, they deteriorate until they dissolve and pervade the soil around them. For instance, the heavy metals the pipes are made of spread into the soil along with anything carried through the pipe. Because of this, harmful chemicals saturate the soil. Using CIPP to fix a corroded pipe prevents toxic chemicals from leaking into the ground. Using an epoxy or hardened resin that does not break down when in contact with certain chemicals protects your property and the areas around it. CIPP fixes corrosion permanently by relining the whole pipe. Leaking pipes can be very expensive to repair, when using the traditional method. For example, the ground is dug up, and landscape demolished, in order to repair the pipe at the location of the leak. This process is time consuming: time waiting for the repair to be completed, time that you may be without water, and time to repair your landscape. Furthermore, if you experience a pipe leak and only the leak is repaired, there is always the possibility of another pipe leak. Using CIPP technology, Advanced Pipe Repair uses seamless, durable pipes that last for many, many years. By lining the entire pipe rather than just repairing the leak, this CIPP fix ensures the leak does not recur. As with leaking pipes, the traditional method of pipe repairs in emergency situations is a temporary solution to a permanent problem. CIPP provides a flexible, permanent repair in the event of an emergency. Capable of handling several types of pipe emergencies, CIPP is a less expensive repair method as well as a less invasive one. If one of your pipe bursts, you will not be listening to backhoes nor watching your yard be dug up for several days. An emergency pipe repair prompts quick thinking and fast decisions. Choose CIPP for a durable, resilient solution to prevent another emergency from occurring. The above CIPP fixes are just three of the permanent solutions CIPP technology provides. Intrusive tree roots causing problems can also be stopped without killing the tree via CIPP technology. For more information, contact Advanced Pipe Repair 800-468-7668, or fill out the Quick Contact Form and we will promptly respond. The history of CIPP is an interesting tale, even though the answer to who invented CIPP is actually a short one. Unlike many of our modern inventions, CIPP can actually be traced to one man who invented the first ever cured in place pipe system. Its progress and the standards that he set for CIPP ensure that no one will forget who invented CIPP as long as this flexible, useful method of pipeline rehabilitation is around. The man who invented CIPP isn’t a household name. He put the first cured in place pipe into the ground in London, England, in 1971. Eric Wood the inventor of CIPP, named his method insitu form. This began cured in place piping’s entrance to the world. Of course, it would be a few years before it made any headway into the mainstream United States market. CIPP is a recent name for the process. CIPP stands for “cured in place pipe”. It’s a very good description, as the pipes go into the ground as flexible cloth tubes covered in epoxy or resin. Then heat (and sometimes light) is used to cure the tube into a strong, solid pipe. Insitu form embodies the same idea. Eric Wood used Latin to create a name for his new method of pipe repair or replacement. “Insitu form” means “made in place”, more or less. This name captures the spirit of CIPP. However, the name is less common for a couple reasons. First of all, the English terms are easier to understand and say, especially for the average person. Additionally, as the process has been refined over the years, some of the mixtures used today aren’t exactly the same as the original methods. CIPP was invented in 1971, but the man who invented CIPP didn’t bring it to the United States immediately. He didn’t even apply for a patent in the United States until 1975. It was another two years before the patent office granted it. In 1977, Insituform Technologies was formed to handle CIPP installation in the United States. Until the patent ran out in 1994, Insituform Technologies was the only CIPP company in the United States. Once the patent expired, other companies began to not only use, but also work on the CIPP technology. The man who invented CIPP probably didn’t guess that his long-lasting, durable product would be in such high demand forty plus years after it was invented. Residential and commercial use of CIPP was popular in Europe and Japan in the 1970s, but it took Insitu Technologies a few years to get it off the ground in the United States. The surge in popularity that CIPP has enjoyed for these past decades started in the 1980s in the United States. Eric Wood is the man who invented CIPP. His pipes are strong, durable, and easy to repair. Since the original patent has expired many companies have started putting these great ideas to work. Many residential and commercial buildings are better off for it! The cost breakdown for CIPP varies from state to state, and even town to town. The estimates depend on the availability of common materials, and even the local sales tax. It’s not possible to speak to the individual cost breakdown of each CIPP project, without knowing all the details. However, it’s possible to compare the cost breakdown of CIPP to the cost breakdown of traditional pipe repair along the lines of labor, materials, and longevity. Labor is a huge percentage of the cost with traditional pipe repair. Digging trenches, physically removing the old pipes, and installing the new pipes is a very difficult process. You’ll have to pay to bring in a large crew for several days. Labor is often the majority of the cost for traditional pipe repair. Cost breakdown for CIPP is a bit different. CIPP is less labor intensive than traditional pipe repair. It doesn’t look like it; CIPP still involves experts and a significant labor cost. However, the cost is much less than traditional pipe repair. Additionally, there’s very little labor once the pipe has been installed. Cleanup is a quick process. The price of materials is a large consideration in traditional pipe repair, but it’s where much of the cost of CIPP comes from. The cost breakdown for CIPP is heavily weighted towards acquiring the materials. For example, the flexible cloth sleeves that are coated in resin and inserted into the pipe have to be custom made for your pipes. The resin itself is also a significant cost. Traditional pipe materials vary widely. Some are much cheaper than CIPP, and some are only a few dollars per foot cheaper. It depends on what you really need. In almost every case, the material cost favors traditional pipe repair. The question becomes whether it’s enough to offset the greater costs in other areas. The cost breakdown of CIPP includes longevity. How long something lasts plays greatly into how expensive or inexpensive it really is. Buying a new $10 coffee pot every month isn’t actually cheaper than buying a $100 coffee pot that lasts for ten years. Unfortunately, it feels that way when you’re at the register, costing you more money in long run. CIPP has a projected lifespan of approximately 50 years. Traditional pipe repair length varies with the pipes that you bought. Typically, however, you’re looking at twenty years before you have to replace your pipes. While still a significant amount of time, that 20 years is only half the lifespan of CIPP. You would be on the second set of pipes before your CIPP pipes break down. The cost breakdown of CIPP shows that most of your money is going straight to your finished pipes. More of your money goes to the hardware that’s going to keep serving you for up to fifty years. With traditional pipe repair, you might save a few dollars per foot on materials, but you have to budget more cash for labor. The lifespan of your pipes also won’t be as long as CIPP installation. A blockage in your cured in place pipes doesn’t have to be a disaster. If you’re wondering how to clean CIPP, don’t despair. Handling cured in place pipes doesn’t have to be that much different than handling other types of piping. Keep these rules in mind while you clean up, and you’ll know how to clean CIPP. If you have reason to believe that the clog is close to the surface and probably organic material, you can use the age old technique of pouring hot water down the drain. A fully cured pipe won’t be susceptible to heated water. This is especially true if you’re just sending down one kettle or pot full of water. If you’ve relined your sewer line or kitchen line, this could handle your problem entirely. If you notice back up, don’t keep trying; the blockage is withstanding the heat, and you’re just adding water to the problem. If you have a surface problem, you can also try to plunge the problem out. Your CIPP system is able to withstand the pressure of plunging, so go right ahead. CIPP systems are not significantly more delicate. In some cases, a cured in place pipe might actually be stronger than the pipe that it replaced. Like the hot water cure, this is only going to help if your blockage is close to the surface. If you plunge a few times and nothing comes up, you’re probably going to have to call a local CIPP expert to take a look at your system. Most of the common cleaning chemicals are safe for use in your CIPP system. However, there are one or two that react with the plastic in your cured in place pipes. If you’re thinking of using a standard drain cleaner, reach out to your local CIPP experts first. They know how to clean CIPP, and will be able to inform you which chemicals work well on your own pipe. Due to the mix and match nature of CIPP and chemicals, there’s no fast and easy answer about which chemicals you should always avoid. It depends on the specific epoxy or resin used to install your system. One thing that you (and any plumbers you hire) should never do is scrape the pipe. It’s a fairly common process to break up blockage by going into a pipe and scraping it. CIPP pipes are as strong as metal pipes in terms of pressure and flow, but they are more vulnerable to nicks and scrapes. A metal fan slicing through the blockage could also do damage to your pipes. Scraping your pipes is just one option. Your plumber or your local CIPP experts will be able to find an alternative. When you’re looking for how to clean CIPP it pays to investigate alternative methods of cleaning. In general, you can find out how to clean CIPP by looking at standard “how to remove blockages” posts online. Hot water and plunging are great for fairly close by blockages. If your problem is more severe, consult your local CIPP experts to either find a chemical cleaner or to find a plumber who works on CIPP. Has CIPP Been Tested Thoroughly? No one wants to go out on a limb with their business. Before you commit to something as large as a pipeline rehabilitation project you want to know the facts. Have CIPP tests shown that it delivers on its promises? Has it been tested thoroughly? The answer is mostly yes--with the promise of even more good things to come. CIPP tests have been very positive, but to find the exact results requires you to be a little more specific. Consider that cured in place pipes are just one type of trenchless technology. Within the subset of pipe relining via cured in place pipes, there are a few different commonly used versions. Each of these systems is constantly being refined and worked on. The process is not set in stone as of yet. This constant refinement provides better service, but doesn’t always allow for up to the moment, cutting edge research. The US government is one of the biggest users of CIPP. They also conduct most of the CIPP tests out there. CIPP is one of the only efficient ways to repair and replace large drains like culverts. It’s in the government’s best interest to be sure that they’re not just throwing good money after bad. These methods are periodically tested to see if they’re performing according to projections. In a recent report release in 2012 (very recent for government work), the EPA conducted tests on a series of pipes in Denver and another city to see if their CIPP was performing as projected. In all cases, the CIPP pipes were either on schedule for very close, even though some of the pipes were halfway through their projected lifetime (25 and 21 years, respectively.) This is very encouraging news. While the report did recommend a more widespread, comprehensive study, the case studies were highly encouraging. The government is continuing to use CIPP as its go-to for large, difficult to reach, or expensive to maintain piping. If projects remain consistent, that puts the average lifespan of CIPP around 50 years. CIPP tests have a history of coming back positive, but at the moment none of them are truly as comprehensive as we’d all like to see. The reason is simply due to the longevity of the pipes. You can’t know how long the functional life of a pipe is until that life has ended. Cured in place pipes have been widely used for thirty years, with some dating before that. That’s as many as twenty years less than the projected life of the pipe. How the pipes break down and how easy are they to fix will have to be established when there’s enough data of it happening to speak in generals. There’s always more to know. Given the positive results so far, most installers look forward with eagerness to comprehensive CIPP tests. All the data shows that your business is in good hands with CIPP. Tests indicate that CIPP does indeed, last a long time. Whether they’ll reach their full projected lifespan remains to be seen, but all signs point to yes. Contact your local pipe lining specialists today. Can You Reline CIPP Pipes Multiple Times? Most businesses don’t want to find a fix that will work today. They don’t even want a fix that will work today and tomorrow. For a business, the best solution to a problem is one that will provide a precedent and accepted procedure. If your business is looking into using cured in place pipes to rehabilitate your pipes, you may be looking at the big picture. 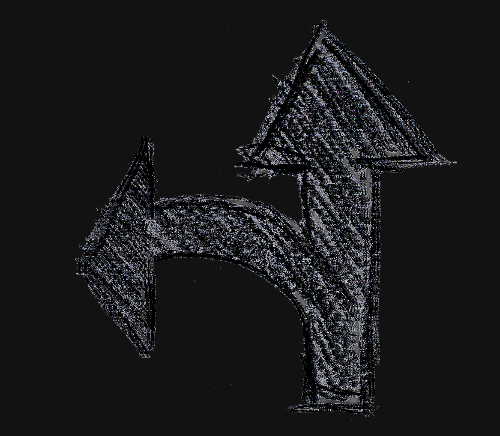 Cured in place will work today, but can you reline CIPP down the road? Will CIPP become standard procedure for your business? For the short answer, yes, you could place a new cured in place pipe inside an older cured in place pipe, thus allowing you to reline CIPP. Among the two most common kinds of cured in place pipe technology (polyester and epoxy), a lot of host pipes are covered. You can use CIPP in practically any host pipe, including itself. If you absolutely had to, you could reline CIPP. Just because you can do something doesn’t mean that you should have to. CIPP is built to last. Most CIPP installations have a bankable life of thirty years or more. This puts a major overhaul comfortably out of range. Most businesses like to have an overall business plan, but planning more than thirty years down the road seems like a stretch. By the time your CIPP needs to be replaced, we could all be living on Mars—or, realistically, you may have changed facilities. If you find that you need to replace your CIPP much sooner than you should, you should consider the way you maintain your pipes. CIPP will only last if it’s taken care of properly—the same as anything else. Take a look at what you’re pouring into your pipes and how you deal with blockages. CIPP shouldn’t be cleaned by scraping or scratching the interior of the pipe. If your business makes it impossible to care for CIPP properly, then just going for relined CIPP isn’t going to help the true problem. One final factor in whether or not you can/should reline CIPP is the water constriction factor. Every relined pipe is slightly smaller than the host pipe. This should go without saying; everything that fits inside of something else has to be smaller. Most of the time, the difference between the host pipe and the cured in place liner is insignificant. The constriction doesn’t interrupt the flow of water. If you reline CIPP, eventually you’ll get to a point where constriction matters. That could be five or six liners (or more) down the road, however. Again—we could all be living on Mars, or that facility is someone else’s problem now. You can reline CIPP if you must. However, if you’re taking care of your pipes and CIPP is a good fit for your business’s needs, you probably won’t have to. CIPP lasts a long time. By the time you have to replace it, you might not need that system anymore.